Volvo Factory Car Stereo Repair. These instructions work only if your the power antenna motor runs when the car stereo is turned on and off. Purchase a new mast from the dealership. We also have instructions for Nissan, Toyota and others. 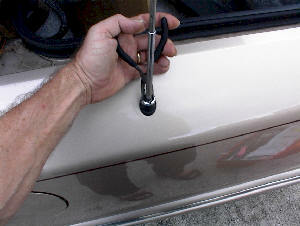 1) With needle nose pliers, insert nose into slots on nut at top of antenna base. 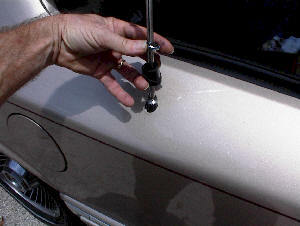 1) Remove nut and base from antenna mast. 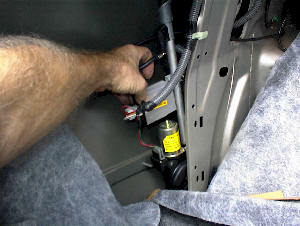 2) Turn car stereo on, remove antenna mast and nylon cable by pulling from power motor assembly. *NOTE - Measure length of new antenna mast against old antenna mast. (In this picture, there is no nylon cable attached to mast). If they match in length, insert new mast and turn stereo off. Feed nylon cable into motor. Install mast base and nut. If they do not match in length continue with instructions. Turn car stereo on/off for testing. 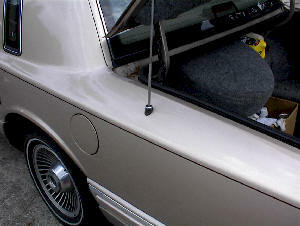 1) Remove two plastic side panel tabs from panel. 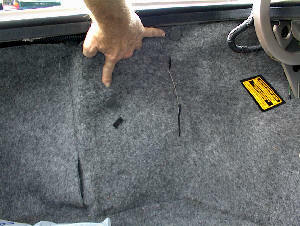 1) Pull side panel from car, feeding manual gas flap release through panel. 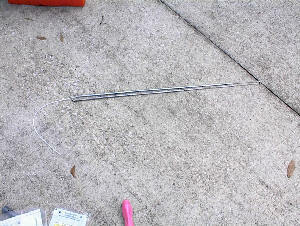 1) Disconnect antenna cable and connectors from power antenna assembly. 2) Remove bolts securing power antenna motor assembly. 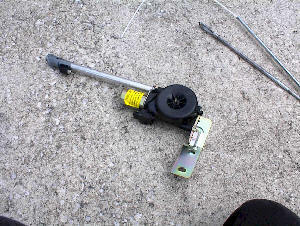 1) Place antenna motor assembly on flat ground for disassembly. 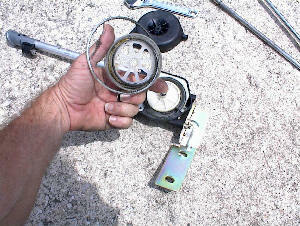 1) Remove cover from power antenna motor assembly. 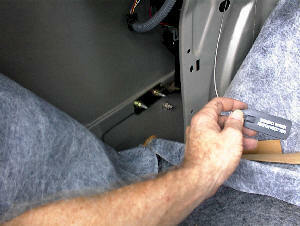 2) Remove nylon cable from cover. 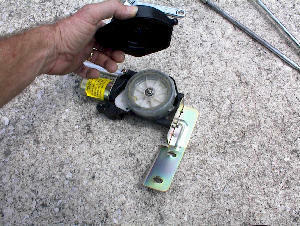 3) Inspect power assembly for debris and pieces of nylon cable. 4) Reassemble and assembly into car. 5) Turn car stereo one, allow power antenna to cycle, feed nylon cable into antenna and turn car stereo off. 6) Install antenna base and nut. If you have found these pages to be helpful, please CLICK HERE!